Live photo – Blue Nokia N8 (with Orange/Red Nokia N8) – wrist strap hole moved? Here’s an electric blue Nokia N8 resting on an orange/red N8, uploaded by Nokia Engineer, Carol Chen. I really like this blue for some reason. Maybe due to the rarity of live photos. Also the seams are slightly more flush. I suspect the colours look a little different again without that flash. Note the normal “C0” from prototypes is missing in the blue one (seems to have some photoshopped looking artifacts). With the Red, the letters aren’t readable but it looks more like a blurry N than a blurry C.
Image below is a mix from AAS’s hands on, the photo above, N8 manual and yesterday’s red N8. Rafe’s green N8 and Carol’s red N8 don’t have writing on the bottom. Note what looks to be a wrist strap hole (bottom left of today’s red N8 and rafe’s green N8) that looks somewhat easier to use and has another added attention to detail with that colour matching trim. It’s not on the manual (where it’s on bottom right) and it’s not on some previous N8 that has writing on the bottom. Some N8s do have the wrist strapas manual denotes (E.G. yesterday’s red N8) but that’s only in the older protos it seems. I’d prefer it if the final N8s didn’t have writing on it at all and remains plain glossy black. « Stunning live photos of Orange (Red?) 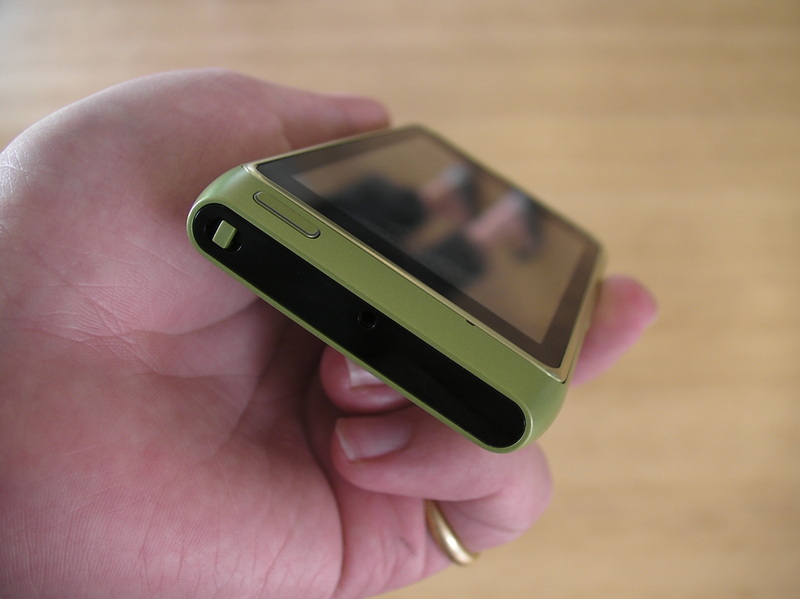 Nokia N8 – "most impressive pre-production hardware we’ve seen"